Wayne State University Press, 9780814321973, 376pp. The mount of Captain Miles W. Keogh, Comanche was the legendary sole survivor of Custer's Last Stand. As such, the horse makes an electric connection between history and memory. In exploring the deeper meaning of the Comanche saga, His Very Silence Speaks addresses larger issues such as the human relationship to animals and nature, cross-cultural differences in the ways animals are perceived, and the symbolic use of living and legendary animals in human cognition and communication. More than an account of the celebrated horse's life and legend existence, this penetrating volume provides insights into the life of the cavalry horse and explores the relationship between cavalrymen and their mounts. 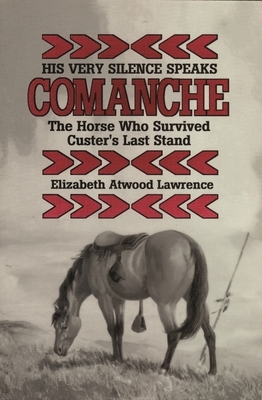 Lawrence illuminates Comanche's significance through the many symbolic roles he has assumed at different times and for various groups of people, and reveals much about the ways in which symbols operate in human thought and the manner in which legends develop. Elizabeth Atwood Lawrence holds a V.M.D. from the University of Pennsylvania School of Veterinary Medicine and a Ph.D. from Brown Univeristy.